WASHINGTON CITY — With a freeway interchange in the heart of downtown Washington City being recommended as a preferred solution for area traffic woes, some residents are considering the project a done deal at this point. 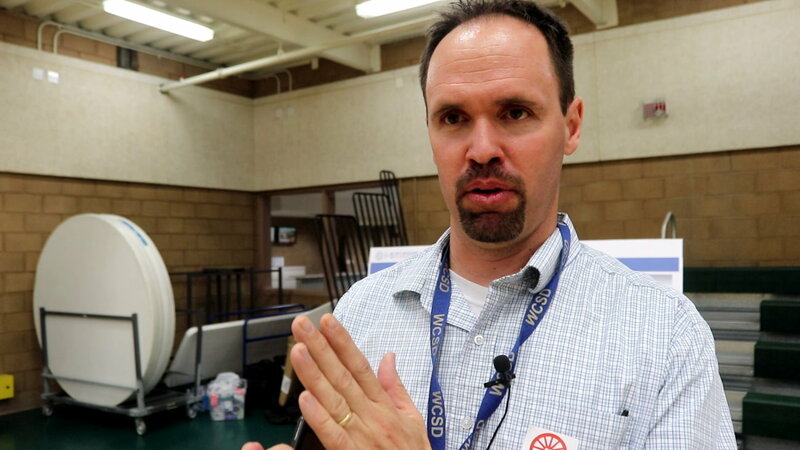 “All of these people here have the illusion that their opinion matters, that they’re being listened to,” downtown resident Bryan Butas said during an open house held night by the Utah Department of Transportation Tuesday night at the Washington City Community Center Tuesday night. “It’s a charade,” Butas said, adding he believes the decision to build an interchange was made long ago. The public meetings are simply a formality to make the public feel like they have a voice in the matter. 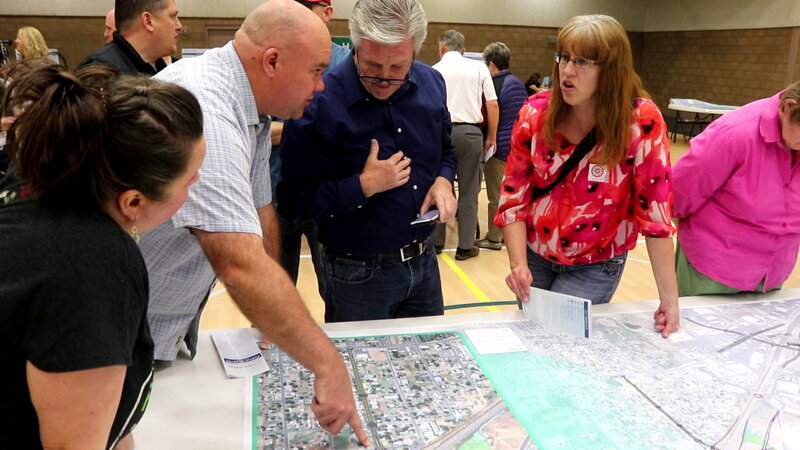 The open house featured a draft of the environmental study that named an interchange on Main Street as the preferred alternative for UDOT’s Milepost 11 Project. The study listed the location as having the least impact to the area, although it would require the relocation of six residences. 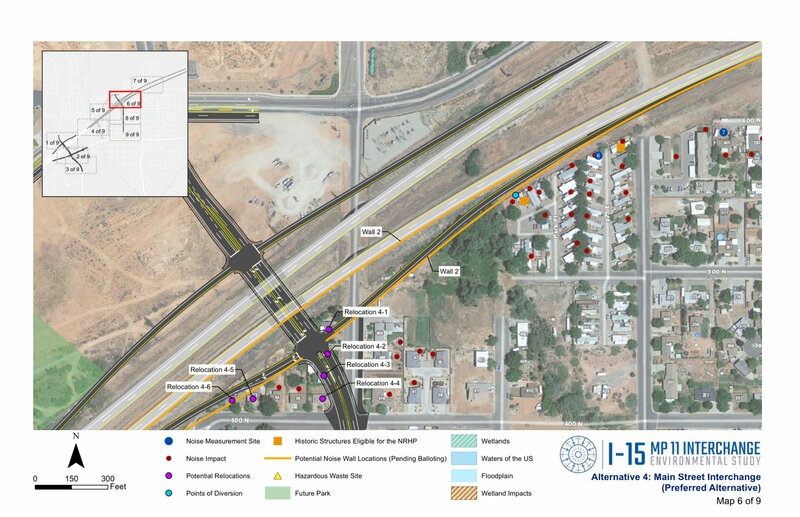 The scope of the study primarily covered the area between Interstate 15 Exit 10 and 13 and how increasing issues of traffic congestive could be alleviated through a proposed infrastructure improvement, such as an interchange in the area of mile 11 on I-15. A purpose the open house was also to allow residents to comment on the updated draft study through written and verbal statements that will be compiled and reviewed as the document is finalized sometime this summer. One of the homes that would be taken by a Main Street interchange belongs to Annie Sullivan who lives on Main Street near the freeway underpass. She said she has mixed feelings about the project. Local and state road planners have said an interchange or some other solution is necessary to address the increasingly traffic nightmare that is the Green Springs Drive/Exit 10 interchange. The Main Street location was recommended by the study after road engineers whittled down numerous proposals. In the end it came down to Main Street, 300 East, or doing nothing at all. According to the draft study and panels shown at the open house, the Main Street location will take up 6.60 acres and require relocation of six residences versus the 300 East one, which would cover 9 acres and cause the relocation of 16 residences and eight businesses. Widening the street from two to five lanes between Buena Vista Boulevard and Telegraph Street. Realignment of Main Street on its northern end to connect with Brio Parkway. Adding a dedicated right-turn lane for westbound Telegraph Street at Main Street. In addition to the work on Main Street, Green Springs Drive/3050 East would be widened from five to seven lanes, and a dedicated right-turn lane for southbound Green Springs Drive at Boulevard will be added if chosen as the final alternative by road planners. “I think it’s a done deal,” Anderson said. Another resident who isn’t thrilled at the possibility of the interchange is Washington City Council member Daniel Cluff. Like fellow council member Doug Ward, Cluff ran for council on an anti-interchange platform and has remained consistent in that opposition. When the interchange is built, it’s only going to help reduce traffic congestion by around 15-20 percent in the area over the next 30 years, Cluff said, adding that he’s not so certain sacrificing the downtown for that is worth it. UDOT’s Kevin Kitchen said Main Street was the best option according to the study because it has the least impact and most functionality when compared to other options. He also noted that while the environmental study took the societal and economic impacts the interchange could cause into account, it primarily dealt with how it would improve area traffic patterns. Residents who were unable to attend Tuesday night’s open house can still review the study online at the Milepost 11 Project website and submit comments through April 22. 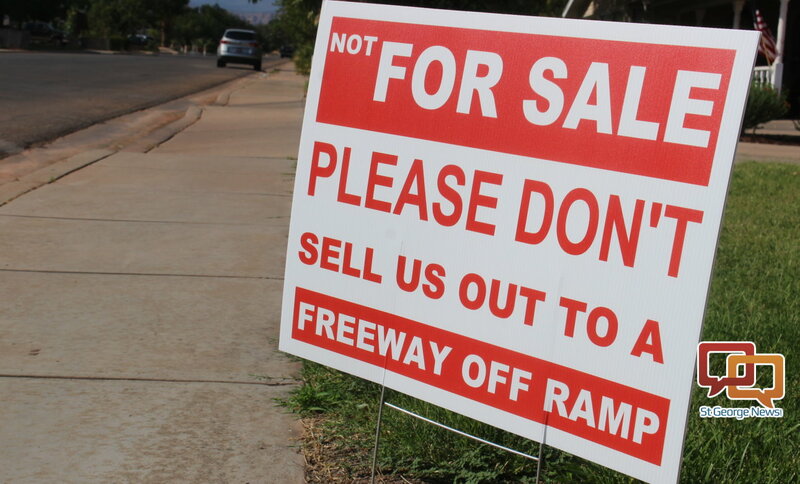 Comments can also be mailed to MP 11 Interchange Environmental Study, 555 S. Bluff St., Suite 101, St. George, Utah, 84770.